It is the broad scope of Lemonade’s visual landscape that makes it so distinctive—the construction of a powerfully symbolic black female sisterhood that resists invisibility, that refuses to be silent. This in and of itself is no small feat—it shifts the gaze of white mainstream culture. It challenges us all to look anew, to radically revision how we see the black female body. However, this radical repositioning of black female images does not truly overshadow or change conventional sexist constructions of black female identity. 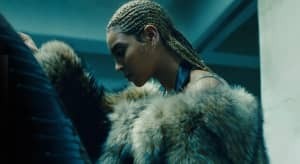 Read bell hooks' analysis of Beyoncé's Lemonade via The Bell Hooks Institute and revisit The FADER's article on the female soul muses of Beyoncé's Lemonade.